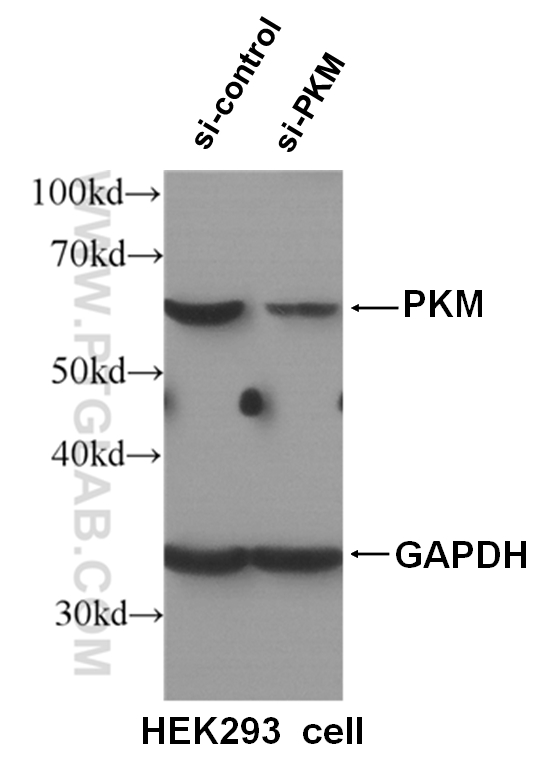 WB result of PKM antibody (10078-2-AP, 1:1000) with si-Control and si-PKM transfected HEK293 cells. 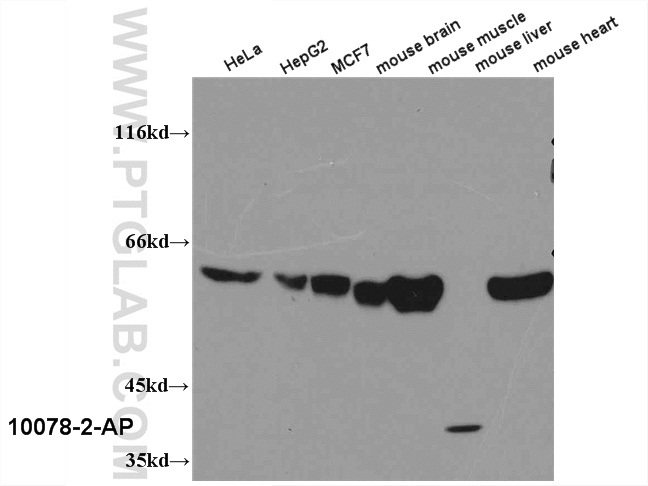 WB result of 10078-2-AP (PKM antibody) with various lysates. 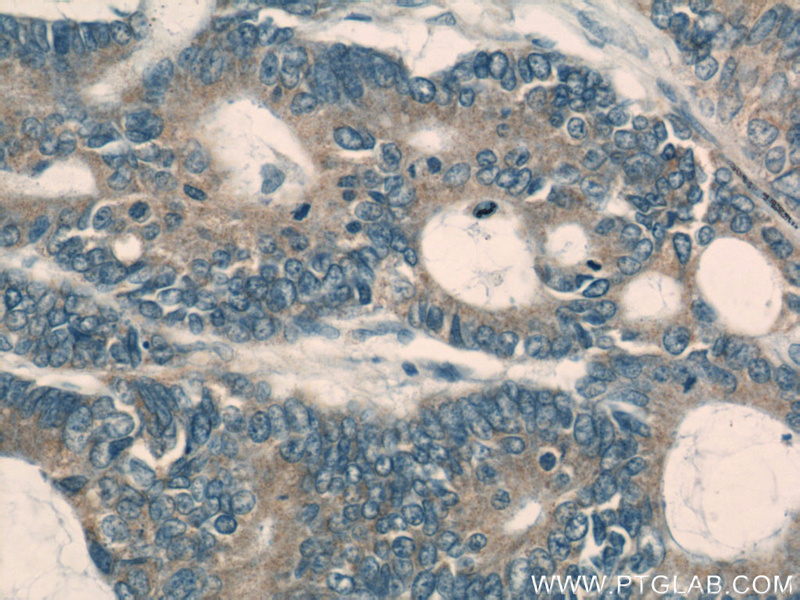 PKM, also named as OIP3, PK2, PK3, PK-M1/2, p58, THBP1, CTHBP and Tumor M2-PK, belongs to the pyruvate kinase family. It is glycolytic enzyme that catalyzes the transfer of a phosphoryl group from phosphoenolpyruvate (PEP) to ADP, generating ATP. 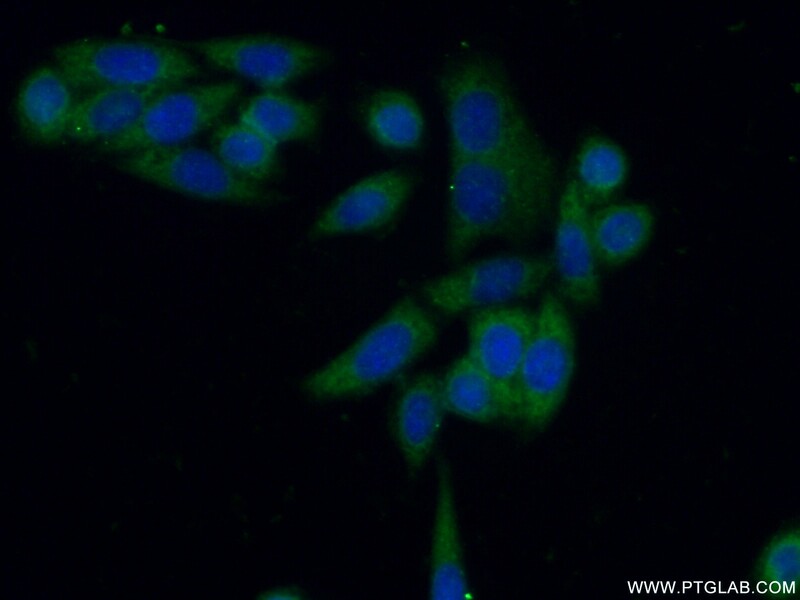 It stimulates POU5F1-mediated transcriptional activation. 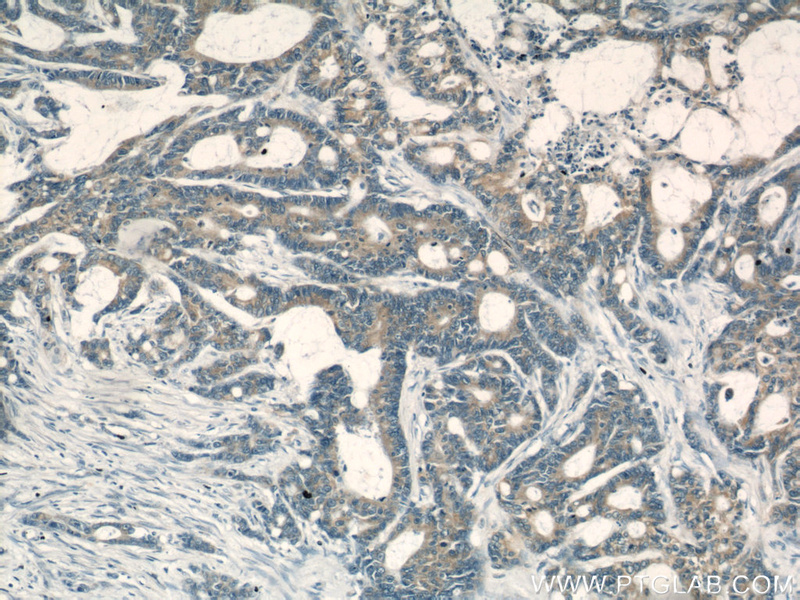 PKM plays a general role in caspase independent cell death of tumor cells. 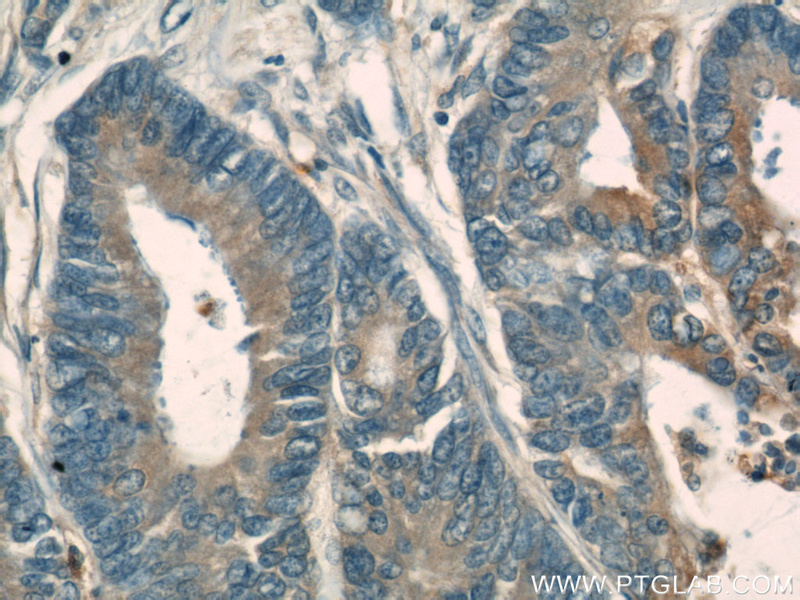 The activity of the M2 isoform (but not the M1 isoform) can be inhibited by tyrosine kinase signalling in tumourcells.The primary pyruvate kinase isoform before tumour development is PK-M1; however, the primary isoform from four independent tumours is PK-M2.(PMID:18337823). PKM, Pyruvate kinase isozymes M1/M2, has 2 isoforms . 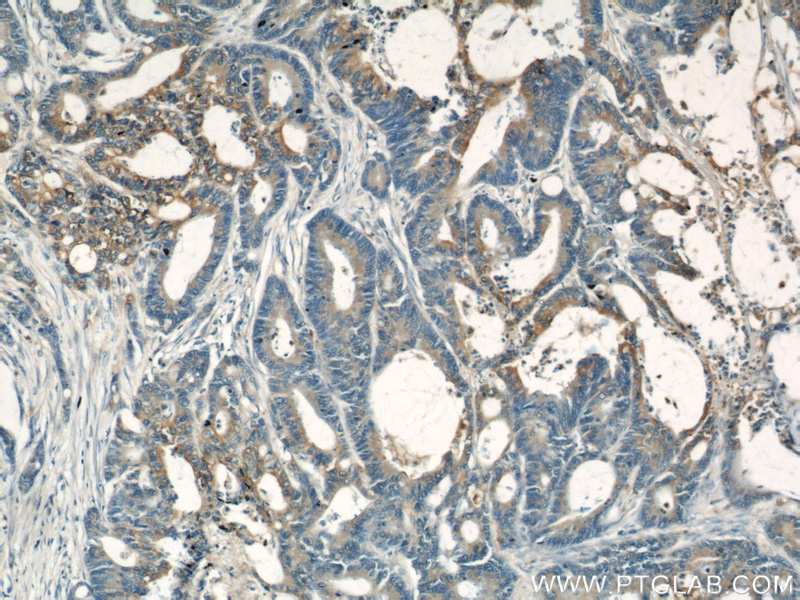 This antibody can recognize both PK-M1 and PK-M2. The Combination of Metformin and 2-deoxyglucose Significantly Inhibits Cyst Formation in Miniature Pigs with Polycystic Kidney Disease.